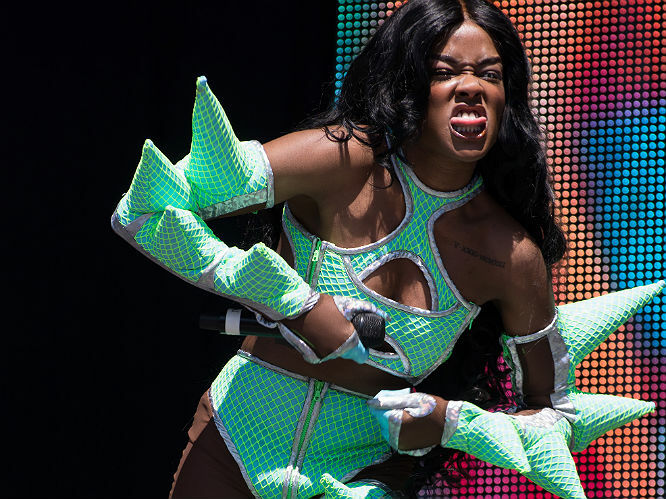 Azealia Banks has confirmed her much delayed debut album, Broke With Expensive Taste, will be released in March 2014. In a Twitter Q&A with fans yesterday (January 2), the New York rapper revealed the album is delayed yet again due to a record label decision, and that the lead single will be 'Chasing Time', adding it was previously going to be a track called 'Soda'. 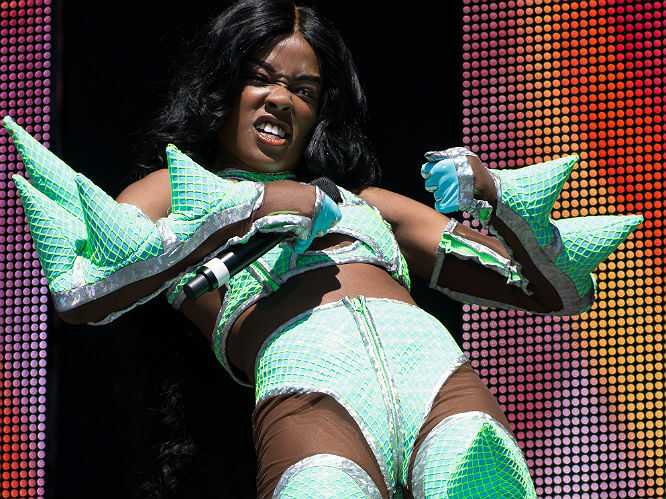 The notoriously outspoken musician also rekindled her spat with dance duo Disclosure, claiming the beat they made for her wasn't good enough to make the album. The Howard brothers crafted the instrumental for a song called 'Bizarra', but Banks claims it "really wasn't that good." "I'll probably put 'Bizarra' on another beat and release it later," she added. It's no surprise there's not a happy ending to the collaboration between Banks and Disclosure, considering both parties have been embroiled in a rather public spat since Disclosure played down reports they had been working with Banks - which she didn't take well, dubbing the 'White Noise' musicians "rude". 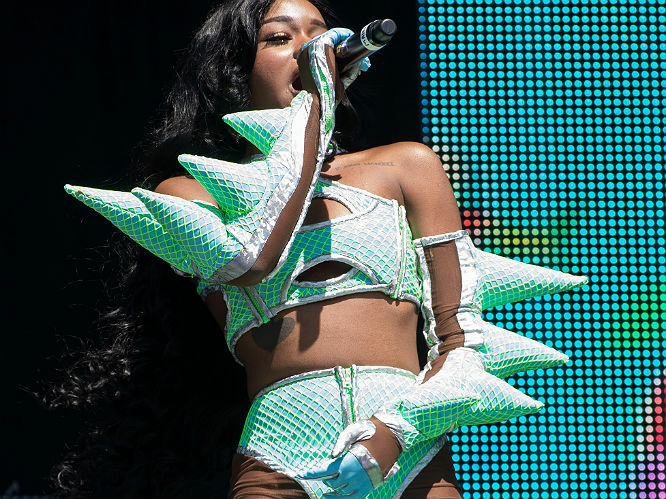 Banks is no stranger to dissing one time collaborators, having accused Pharrell Williams of not wanting to be associated with her after the failure of the pair's single 'ATM Jam'. "The reason ATM Jam did poorly is because Pharrell changed his mind about wanting to be associated with me after he had his lite skin comeback," she wrote on Twitter at the time. 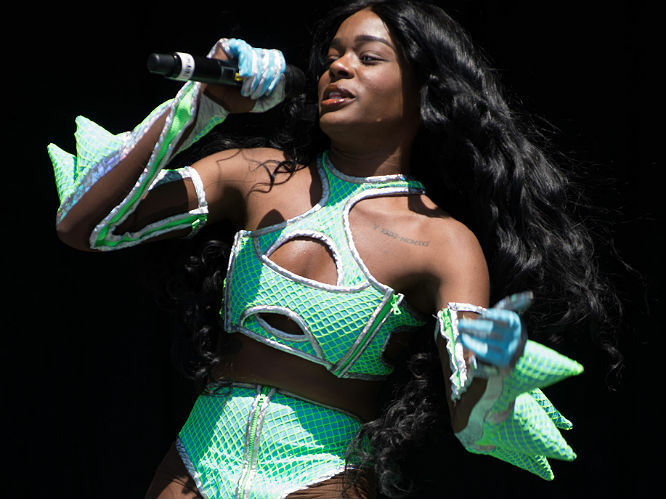 Azealia Banks will embark on a UK tour in March in support of Broke With Expensive Taste. Check out the full list of dates below. For more information and tickets, visit Gigwise Gig Tickets.